Chote Nawab is restaurateur Shiva Natarajan’s latest culinary addition to Murray Hill. Chote Nawab quite literally translates to “Little Prince.” The Nawabs of India, mainly in the city of Lucknow, were very much the foodies of their day, known for their elaborate royal kitchens, hospitality and of course their Kababs. Chote Nawab features Kababs from Lucknow and “dum” Biryani from Hyderabad, which is cooked using a sealed pot technique to maximize flavor. The menu also has regional dishes from Kerala and Andhra Pradesh. Chote Nawab combines modern design elements, such as concrete walls, with Indian themed murals to create a contemporary, yet warm ambiance, which is a reflection of its in-house spice blends and authentic culinary style. We specifically went for pot chicken biryani and they did not disappoint us. It was so delicious. Their service was outstanding. Staff was so friendly and helpful. Highly recommend it. They have lots of delicious food and my favorite Chickem dum biryani in pot. Food was just wonderful—delicious!—when it finally came. On a rainy Friday night at 8:30 pm the restaurant was not full, so we were surprised by slow kitchen especially since other reviewers described being “rushed.” That said, wait staff service was friendly and relatively attentive. Beer selection good. 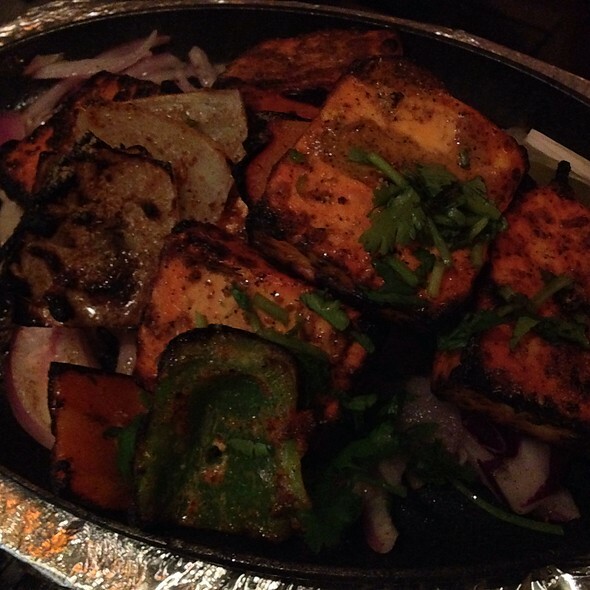 Every dish was well seasoned and true to its menu description; salmon tikka was a standout. Ambiance is modest, with simple decor and plain tables. Note: restroom needed attention (broken toilet seat, overflowing trash can, not especially clean). Everyone in my group agreed the food was excellent and authentic. Service was wonderful and we will definitely go back. Excellent Indian place. Wine choices decent. Lots of meat and non meat options. Biryani is exceptional. Shrimp with tomato and coconut another stand out dish. Would go back. I was celebrating my sisters birthday and made reservations so that the restaurant can make arrangements for larger group in advance. But it was a complete mess when we got there. The management was absolutely useless in arranging tables together and instead was giving us advise that we did not reserve correctly. After several arguments and talking the second person was able to arrange a table on one side. After an hour we were able to get seated and then order food. The whole point of making reservations did not work. The servers did their job and had decent service. Great selection of North India cuisine. Biryani was the favourite! I have been going to Chote Nawab every time I visit NYC since 2015 for dinner, as I love their chicken dishes. This time the food was awful. The "roomali rotis" were raw and undercooked, the chicken dum entree was undercook. We were offered to try "tunde ke kabab" (on the similar lines of Lucknowi Tunde) which was nowhere even close to anything. The kabab was not cooked properly and was rubber like. Overall, a great disappointment this time. 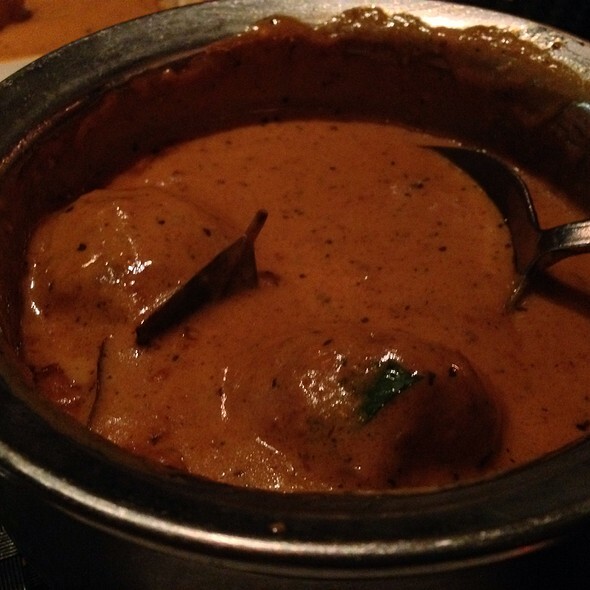 Even the malai kofta entree was too sweet. I would have recommended (and have done it in past) this restaurant to anyone, but not after this experience. One or two dishes going wrong can be understood but not everything. Also, I don't think when someone orders basmati rice as an order, they want the rice which is not fresh and has lumps in it which clearly looked like rice from the afternoon. I was dissatisfied with chicken biryani. It is not fun Biryani. Not that great. Got misled by good reviews. Please do not go there for any special occasion. It's good only for a casual meal. 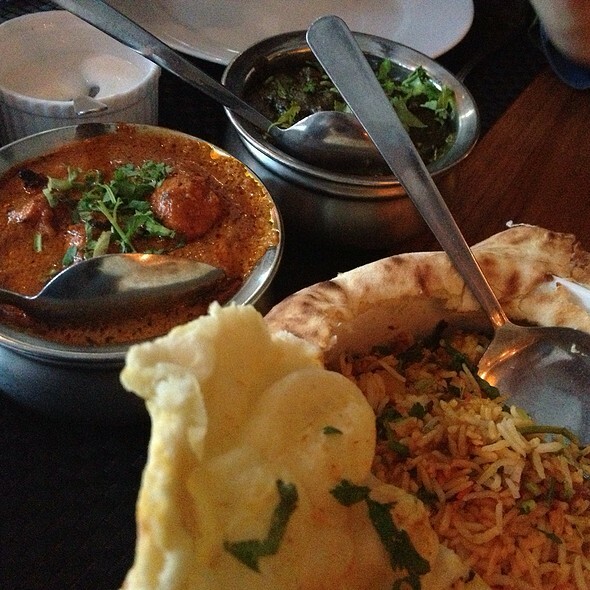 Whenever we find ourselves in the Murray Hill neighborhood, Chote Nawab is our go-to place. The food is always delicious and consistent. I am a vegetarian and my partner is not and we both always leave happy. We try different dishes and appetizers and recommend everything. The service is friendly and attentive. Outstanding food. The wait staff was courteous and friendly. Corkage charges were atrocious considering the fact that they did not have a bar the last time we were there. This may be the only reason that would cause some hesitation to go back. Great service. Very accommodating to my four-year-old who didn’t like anything spicy. Family friendly and all food was delicious. The food was very good and the place was cozy, but with enough space for a few larger groups. The servers were very nice, it was a good experience overall. Great food (Punjab), great service, and fun ambience. Was a perfect spot to bring friends who were in from out of town. excellent food, staff held up well serving our 20+ group. The noise was mostly made by us. CN hosted us for a large work group outing and took excellent care of us. Food was great and service quick! Greatest restaurant in Manhattan! Best service! I go around once a week! 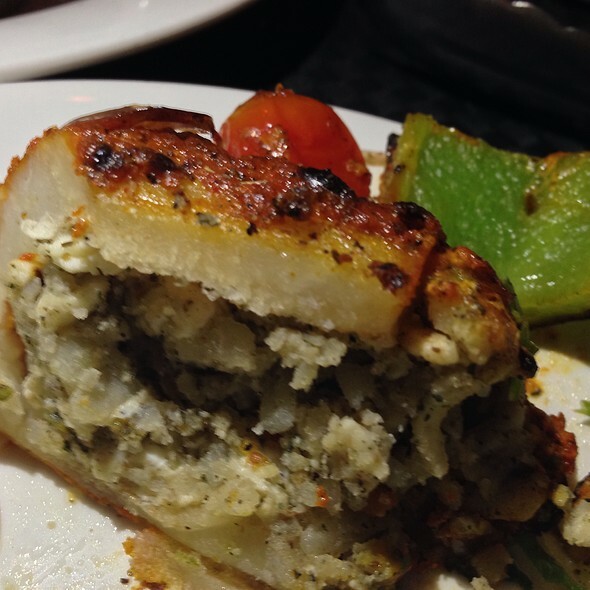 The restaurant serves amazingly flavorful food in a casual and enjoyable setting. The lunch options are terrific. Go! Great food, great service and best Indian food I’ve had in NYC. It was awesome. I always come here. I know what to expect and they deliver every sing tine without fail. I can rely on them giving good food and service. Period. Our favorite Indian restaurant! 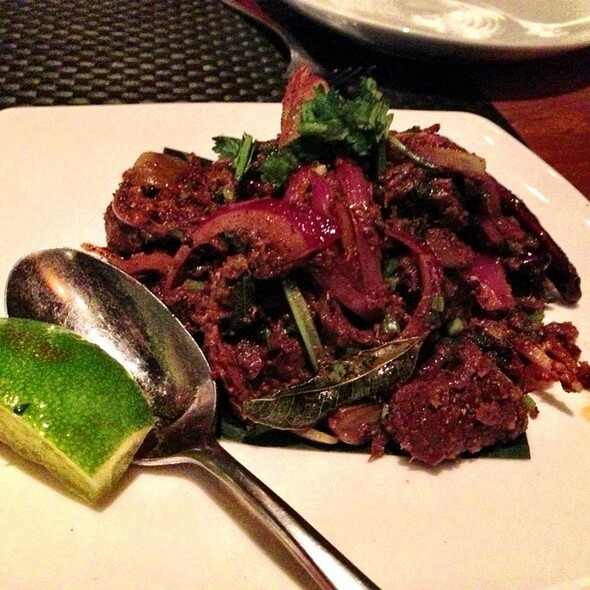 The food is consistently delicious and the service is always gracious and attentive. Tables are well-spaced. We've been dining here since they opened and it is as good as ever. Good for dates, small to medium groups. Always enjoy our visits. Chote Nawab never disappoints - delicious spices blended thoughtfully. 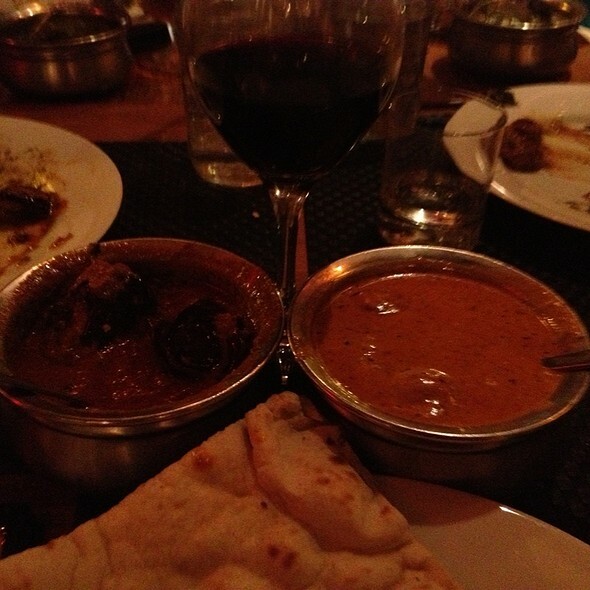 Far above the average Indian restaurant in NYC, but with very reasonable prices, as well. Attentive staff make the experience pleasant , as well as satisfying. 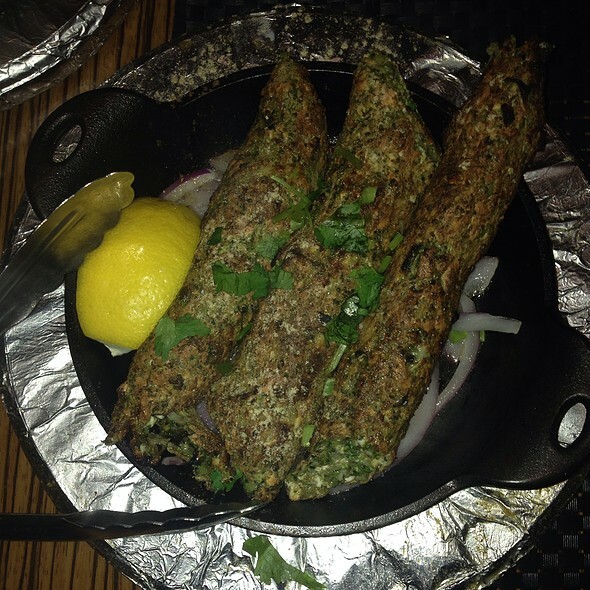 We loved the kakori kebabs and Goan fish curry and the baghara baigan. The veg biryani was one of the best I have had and in my mind it compared well to what I got to eat in Hyderabad at Paradise biryani which is to me the ultimate in Biryani. The Sasuralwali bhindi was a let down. The cocktail was OK. This is a cut above the standard Indian restaurant. Clean, modern design, several unusual dishes, and excellent, friendly service. 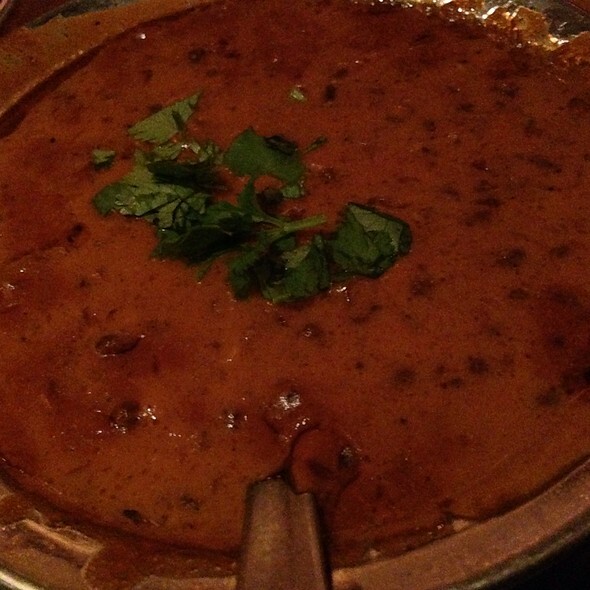 The food is very well-spiced, and not at all greasy, as Indian food can tend to be. I have recommended Chote Nawab to people all over town, who have become regulars. A find. My family background is Indian and I’m an unapologetic foodie and I’m very picky. This is my go to for Indian. It lacks pretense, the staff are wonderful and the food is closer to authentic home cooking than the post-colonial slop served at so many Indian restaurants. Try it! Atmosphere is a bit noisy and the decor is workaday, but the food is absolutely fantastic. The service is fine and the prices are good. There are familiar items on the menu, but also unfamiliar ones, and they do justice to everything. It was meant to be one of the most delicious Indian in manhattan and just was not. I can't compare with others in the area ... but almost every one I tried in the U.K. are way better than this one (extremely spicy ... could not finish my dish) ... super loud, and you have to ask at least 3 different people to get what you need/want ... and re-ask because they forgot ... I invited everybody here for my birthday thinking we would have a good night and it was less than average ... just disappointed. Hope you'll get a better experience than us if you go there! Amazing Experience! Definitely recommend! The food meets my expectations. Just got back from a trip to northern India, and Chote Nawab reminded me of the fresh, intricate tastes of the foods I tried there. The service was very attentive, and the noise level was not too bad in the back of the restaurant. Our table of 4 could hear each other just fine. Pepper Chicken from the House of Chettiyars was not too spicy and a great change from the usual Chicken Tikka etc. We also had a (vegan) eggplant dish that was lovely. Kebabs were succulent and the naan was piping hot. The food and service were great. The biryani was not authentic Hyderabadi biryani bit was still good regardless. My son, a foodie from Denver, was impressed.